One of the more intriguing enzymes that handles RNA is polynucleotide phosphorylase (PNPase). This enzyme is a phosphorolytic 3’->5’ exonuclease; that means that it acts on the 3’ end of an RNA chain and moves towards the 5’ end, and that it adds phosphate (as opposed to water) to the broken phosphodiester bond. This means that the products of the nucleolytic reaction are a shortened RNA chain and a nucleotide 5′-diphosphate. The nucleolytic activity is appropriate, as the enzyme is a principal exonuclease component of the RNA-degrading machine known as the degradosome. But RNA breakdown is not the only enzymatic activity possessed by PNPase. As I noted in an earlier essay, PNPase was a first (perhaps THE first) nucleotidyltransferase, or RNA polymerase. Indeed, it was an early candidate for the RNA polymerase (you know, the DNA-dependent RNA polymerases that are responsible for transcription). This activity reflects the fact that the nucleolytic activity, when reversed, is actually a nucleotidyl transferase activity, in which RNA chains can be extended (in a template-independent fashion) using nucleotide diphosphates as substrates. The clearest in vivo manifestation of this activity is evident in the many reports that show that PNPase can act as a poly(A) polymerase in vivo [see the review by Slomovic et al. for more on this]; this is true in bacteria and in organelles such as the chloroplast or mitochondria. 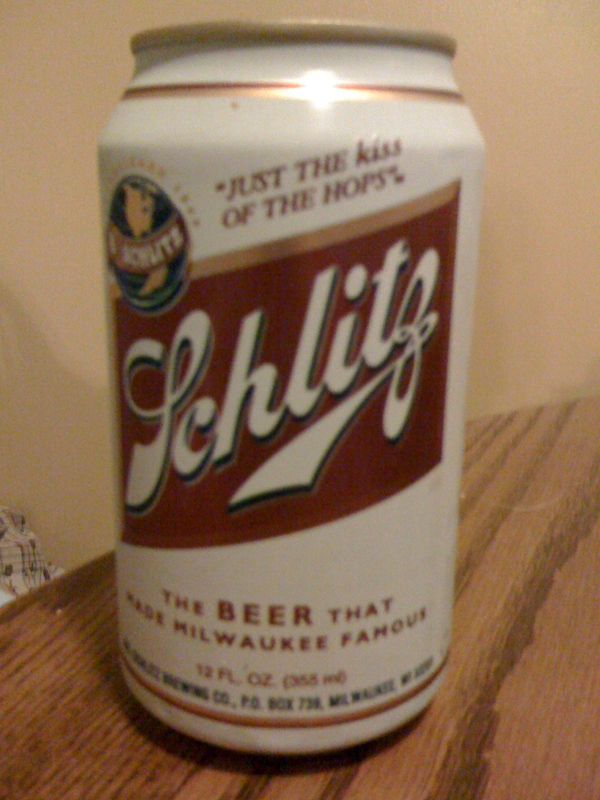 Sometime ago (I’ll admit I don’t remember) I was telling stories to my lab about the olden days, and how a beer that they had never heard of was once the most (or second-most) popular brand in the USA. It had something to do with being careful about changing things (like a standard lab protocol, or a brewing recipe …). So what does the lab do to celebrate my 25th anniversary of moving to the University of Kentucky? What else – search through the dusty back corners of Liquor Barn and find a twelve pack. You are currently browsing the The RNA Underworld blog archives for August, 2010. Neil Morada on Just how widespread is alternative polyadenylation in plants? BTC coin on The Next Generation? The content of this blog is licensed under a Creative Commons Attribution-Noncommercial-No Derivative Works 3.0 United States License. The opinions voiced on this blog are entirely those of the author, and should in no way be construed as being representative of his employer or of any other agency or organization.